You may remember when Instagram announced the launch of Stories back in 2016. Many of us were not shocked the platform decided to go in this direction, but personally I was still surprised by how much this new feature resembled Snapchat. Despite that feeling of similarity, many users eventually found it easier to stay and post in one platform and Instagram stories took off. Today, more than 400 million people watch Stories daily and it’s become an essential tool for marketers. It also probably doesn’t surprise you that Faceb ook decided to take advantage of the popularity of this feature and expand Stories to be published on their platform as well. Whether your brand posts Stories to Instagram, Facebook or both channels, it’s likely already become an important part of your social media strategy. If you go to any social media conference this year, you will probably hear this word often: storytelling. I personally love that so many brands are adopting this strategy for their social media channels as it focuses more on the human connection between a brand and its audience. It’s important to be leveraging a feature like Instagram Stories to reach a wider audience with your message, but have you thought about how it can give you the opportunity to become a true storyteller for your brand? Here are some tips for using Instagram stories to bring your brand’s story and personality to life. The same way you plan content for other social channels, it’s helpful to establish a calendar of what you’d like to post on Stories. W hile things may change depending on trending news, timely events, or something unexpected happening with your brand, it’s always good to have something marked down in the calendar that way you know you’ll get some content out every week. When planning, you can look at the national holidays/observances coming up and see if any make sense for your brand to post about. There is a national holiday for just about everything you can imagine, so you’re bound to find a few that your brand can tap into. On behalf of our client, NVE Bank, 3E Public Relations jumped on the popular observance National Ice Cream Day (one of our favorites) back in July. We published a story polling NVE Bank’s audience to see if they prefer getting their ice cream fix from a truck or a shop. As a local bank, this was a nice way to engage with the community and get them thinking about supporting their local businesses. 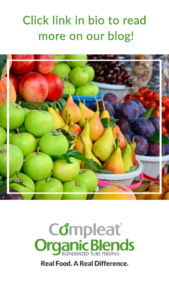 Just like people have come to expect posts around hashtags such as #ThrowBackThursday, #FlashbackFriday or #MeatlessMonday, you can create content themes for your Stories based on what’s relevant to your brand. You don’t have to commit to posting a throwback photo every Thursday, but can hop on it if you happen to come across something relevant. Additionally, maybe your brand is focused on wellness and you decide that each Wednesday, you’ll create a story for “Wellness Wednesday.” Creating a content series like this can help you plan and holds you accountable to posting since your fans will come to expect seeing this type of content from you. Everyone longs to have a beautiful and uniform-looking Instagram page, but the great thing about Stories is they don’t have to be as highly produced as your feed images. While it’s appropriate to leverage your best photography for your Instagram feed, when it comes to your Story images, they can be a bit more “DIY.” Many people and brands use Stories as a way to give their audience a behind-the-scenes look, so you can put your phone into selfie mode and give your audience a tour of your business without using a professionally produced video. It’s also a great way to leverage any employees that are comfortable participating on camera. Rather than hiring an actor like you might need to do for a video shoot, you can have your employees be the voice of your Stories. This is another way to show your audience that there are real people behind the screen. In an effort to be real, sometimes the best thing you can do is let others tell your story. As mentioned, employees are a great way to do this, but you can also leverage influencers to get that third-party credibility. It often doesn’t come off as authentic when a brand is posting about how amazing one of their products or services is, but when a trusted source like an influencer talks about it, your audience may be more inclined to take it seriously. Of course, brands and influencers must always disclose if the influencer is being paid for the content, but many influencers will only work with brands they truly like so even when something is seen as sponsored, their fans may not discredit it. You can ask an influencer to create content to be posted on your own Story for a “takeover” or have them post the content to their page and you can let your audience know to check it out—or you can do both! Working with influencers is a great way to keep things fresh and your audience will appreciate seeing content from different perspectives. Thanks to Instagram’s analytics, you can see how many people are viewing each slide in your story. You may notice that a lot more people watch the first slide than the others. This is common as the first slide will determine whether or not a user is going to be interested in the topic. If so, they will continue to watch additional slides, but if not, they will just skip over to the next story in their feed. If you see that the numbers for all the slides in a Story were pretty consistent, that’s a good indicator that your audience was interested in the topic. It’s important to test different topics and types of content, but once you have enough learnings, you can then create a content strategy based on what your audience is most interested in vs. messages your brand might be more interested in pushing. Analytics are a marketer’s best friend, so make sure to look at them often and change your strategy accordingly. A great way to engage with your audience and fill in content gaps is to leverage content from your own followers in your Stories. This is something you could plan to do weekly as a one of your series or you can just sprinkle it in occasionally. Check out the hashtags for your brand and pick out the most inspiring images to share in your story. You can choose photos that fall under one theme or you can just make it a weekly round-up of your favorite images from your followers. If you know who some of your best ambassadors are, you can also reach out to them to ask if they’d be willing to create a Story for you. This would be similar to an influencer takeover, but a genuine fan of your brand would likely be willing to do it just for the shout-out. To say thanks, you could surprise them with a gift card or small reward from your brand. This is a great way to keep your loyal fans engaged, show them recognition and create additional content for your brand. It has always been tricky for brands to drive site traffic through Instagram. 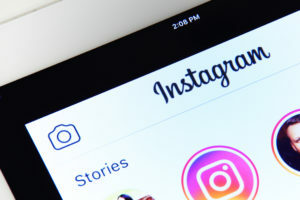 In the past, you had to leverage third-party tools to create a clickable link for your content in your page’s bio, but Instagram is starting to make it easier for brands to link directly. You can now make items featured in your post shoppable, but it’s even easier to add a link to your Story. 3E Public Relations recently used one of the blogs posts we developed for our client Nestlé Health Science’s Compleat Organic Blends brand as inspiration for a Story (another great way to repurpose your content) and encouraged their audience to click over to the blog to read the full post. When relevant, we recommend adding a link at the end of every story—even if it’s just to your main site to encourage users to learn more about you. In conclusion, we know that Instagram Stories are being seen by millions of people daily and with the platform constantly adding new features, it doesn’t appear to be slowing down. If your brand isn’t already taking advantage of the feature or using it to its full advantage, we encourage you to try implementing some of the tactics above to get out there and tell your brand’s story. If you need help developing an Instagram strategy for your brand, reach out to Danielle Bright at dbright@3epr.com. 3E Public Relations is happy to help guide you in the right direction when it comes to your Instagram presence, as well as your brand’s overall social media marketing strategy.